The valley here is broad and steep-sided. 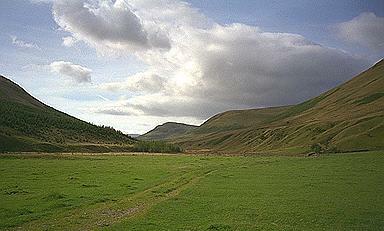 On the left are the slopes of Ashstead Fell, on the right, Borrowdale Edge, and ahead, High House Bank. Larger version of this picture.